Nostalgia for the Sims 2 Xbox! And why did you do this for TS3, not for TS4, a game which is much more popular and will probably have a bigger audience if there was a sims 4 third person mod? That's highly debatable, The Sims 3 doesn't have My First Pet Stuff, and toddlers didn't take two years to produce after the original launch date. Sure it's becoming a good game, but it took awhile, not to mention the epic mods for TS4, which, without them I couldn't play. I played TS3 without mods until it was over, The Sims 3 store still exists and makes EA tons of money. Quack, as promised, one (1) video. Comes with all the usual A Guy Called Pi-style commentary, and a download link. Also did someone mention TS4? There's a smelly smell in here, it smells. This is absolutely amazing, I had a blast trying it out today. I love it so extremely much. You should consider making it for Sims 4 someday soon! that'd be absolutely fun and immersive, considering Sims 4 runs smoother for a lot of people, including myself. Walking around in WASD is something I've always wanted to do on the Sims, and you made that possible!!! Really talented! 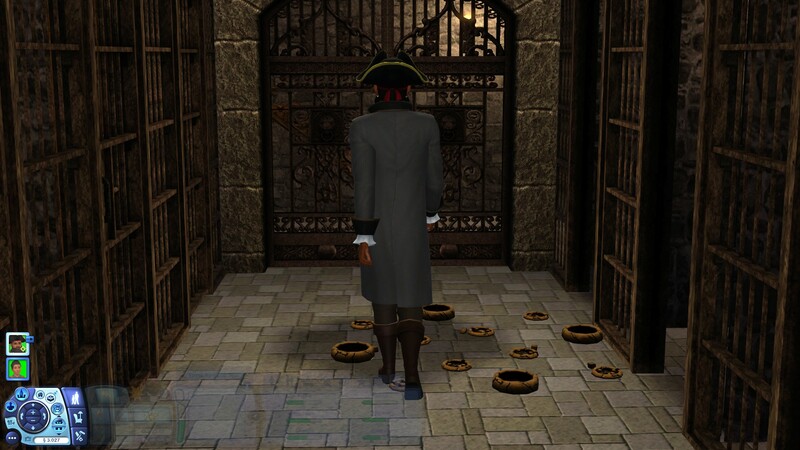 Even though Sims 4 is not open world, being able to run around the sections of the gorgeous worlds and even inside houses or museums/restaurants/etc would be much more fun with the WASD feature! 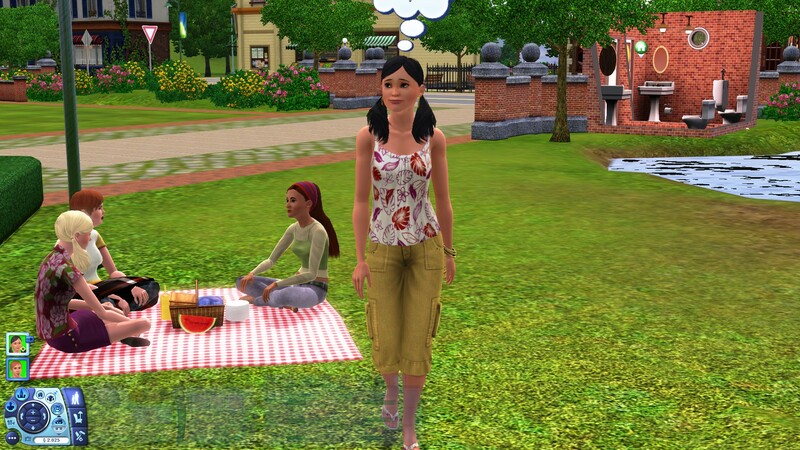 Not being open world kinda makes this mod pointless for The Sims 4. Yes, you can use it indoors but it's not really the best experience (and it wouldn't be either in The Sims 4) and the walkable space is TINY / MINUSCULE in TS4. A first person version (in which you can take direct control of your Sims with WASD, unlike EA's first person) would make more sense. Naus, you say that, but TS4 has the first person mode and if I understand the Jazz system correctly, a mod like this would be perfectly compatible with it. It'd still be worthwhile simply for exploring lots and neighborhoods in first person. Yeah, in first person, not in THIRD person. 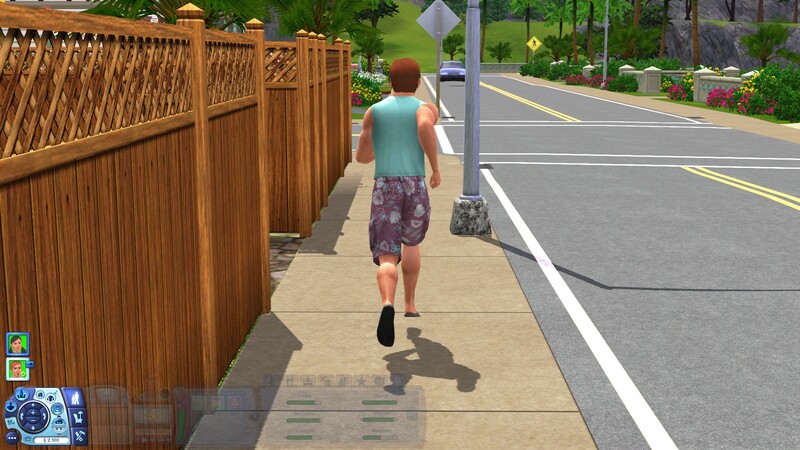 And the first person mode in The Sims 4 is only a first person CAMERA mode. 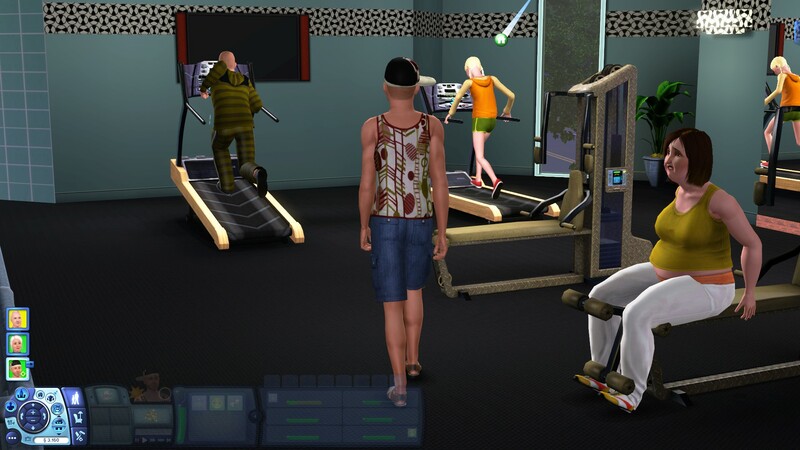 It doesn't change the way you control Sims at all (and it's awful as the camera moves the way the head of your Sim would be moving. It makes me sick). This seems really cool! I have a question: would first-person also be possible? The Sims 3 already has a first person camera mode when you record videos with the video recorder from Generations. You can even control your Sims using WASD, though the movement is awful (as LGR put it, it feels like you're walking on Portal 2's propulsion gel). I imagine it wouldn't be TOO difficult to implement something similar without having to use the video recorder and with improved movement, the ability to go through portals and mirror reflections. Haha awesome! I like your style! And that's a really good looking city if I've ever seen one. It really does look like GTA when you play in a city like that, and with those car mods and everything. I enjoyed watching that, thanks for sharing! Aftet testing for a while (and for a while i mean the whole day) i can finally give my final thoughts. Can't wait to see what the future brings for this mod! That was actually already addressed today. You can redownload the mod to get the new version. The arrow keys will rotate the camera, aswell as the "," and "." keys. You can also move the mouse to the edges of the screen to rotate the camera while in third person, and use the mouse wheel to control the zoom. I agree, the mod is fantastic and the only thing that would make it even better are the refined camera controls. In any game that uses the third person perspective, camera rotation and angle are freely controlled by the mouse movement however, I would be happy with the normal sims 3 camera rotation as well. 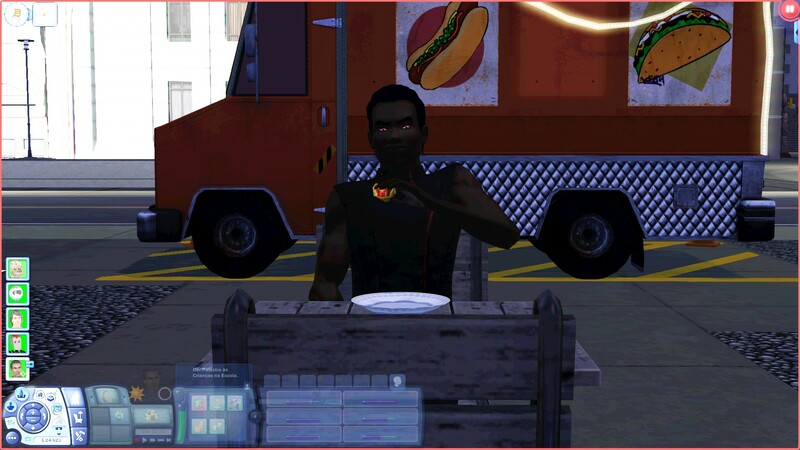 It's really the only thing that would make this mod be the ultimate sims 3 mod of all times. Would still love to see it normally on the mouse rotation like the game already does it tho. That's not much possible in the way the mod was designed. See, to make this work I had to take complete control of the camera, making it ignore the regular commands the game gives it. If I didn't, when using the WASD keys the camera would just follow along as it does normally. So the camera controls also had to be redone from scratch. And I could not for the life of me figure out how to make the middle mouse button rotation work because the mouse freezes automatically when you try that, which makes it impossible for me to keep track of it in a pure scripting mod. It could be done if I were to override the camera controls, but that would turn this into a core mod, which I'm not on board with as that would create incompatibility with a series of other mods. woah... is this real? wow! nice! possible 1st person mod coming soon? Hi, I played around with the mod longer and encountered a few issues. 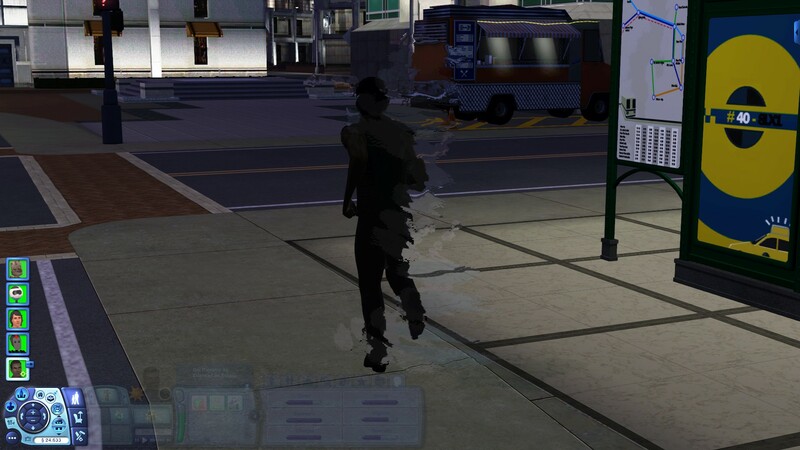 1: The walk/run animation stutter is also present in normal mode with the mod installed. Uninstalling the mod got rid of the stutter. Are you able to fix this? 2: If you quit the game right after you deactivate TPM, the game crashes while quitting (The Sims 3 has stopped working error.) It's not that big of a deal since it's easily avoidable by just quitting with TPM activated but I thought I'd mention anyway. 3: You can't go through garage doors while in TPM. Side note: I've found Sims are no longer able to use stairs in the latest version of the mod. Worked fine yesterday but now they're throwing routing errors. Real shame because all the lots I tested it on and around had stairs for access. Oh ok I see. Could you make it at least, well, keep the zoom/pitch of the camera when moving the sim? Being confined to one position is not really comfortable to play this with especially in small crowded spaces. However I understand if nothing can be done because of the limitations. #67 5th Apr 2019 at 2:24 AM Last edited by QuackGames : 5th Apr 2019 at 2:36 AM. I don't quite understand what stutter you're talking about since it doesn't really happen in my game. Could you maybe send me a video or a detailed description of that via PM so I can see how fixable it is? I'll see what I can do about those. What? Really? I didn't even touch that part of the code, it doesn't make any sense that it would stop working. I've actually just tested it now and it's working as intended here with the current version of the mod. Are you sure your stairs aren't actually blocked or something? Try going to another lot and then getting back. If that doesn't help, please PM me with the specifics of your problem to see if we can find a solution. I really was not able to recreate this here as all stairs in my game are functioning as normal. This is UNBELIEVABLY impressive and very inspiring. It's a great testament to what independent creators are capable of. I wish you luck in all your future work! This is beyond amazing! I don't even have words!! I'll definitely be downloading and trying this out tomorrow (it's almost 5am here in the UK at time of writing, lol), and I cannot wait - it looks awesome! I tested the new version and Sims can still use stairs but sometimes they'll use the WRONG stairs, for example trying to go from a first level on foundation to ground level actually make my Sim use the stairs to go from the first to the second floor. I'll see if I can replicate the issue and record a quick video. I also have the problem another user described of The Sims 3 crashing when you exit the game after using the third person camera. One more thing. I don't know if it's possible, but it'd be great if zoom remain constant while I move my Sim. I can zoom in/out fine with the new version but as soon as I move my Sim zoom resets to the "default" position. It'd be good if I could zoom in more to have the camera close to my Sim's back (as a sort of over the shoulder camera). It'd would help a lot moving in indoors (walls and objects blocking the screen still is an issue). I tested the newest version and my sims also stutter even in normal mode with the mod installed... It happens from time to time not always. Also, it only happens outside of the lots. Inside the house, sims don't stutter walking. Otherwise, it is fantastic!!! I actually did this as a challenge to myself. I was playing The Sims Castaway for the PS2 (blast from the past moment) and I thought how cool those controls would be for a modern The Sims, so I searched the internet for a mod that would do that, and found nothing. Instead I found some people in forums saying that this could never be possible, modders wouldn't be able to do that, etc. First thing that came to my mind was "Challenge accepted!". I have a lot of experience dealing with game engines. I mean, I'm an indie developer, I make games for a living, so I kinda need to know how game engines work. I've been back and forth between Unity, Unreal, Godot and other game engines for my games. So this kind of general knowledge makes me able to quickly adapt to any engine I decide to mess with, even those which completely lacks documentation, like The Sims 3 engine. So yeah, one week later and here we are. 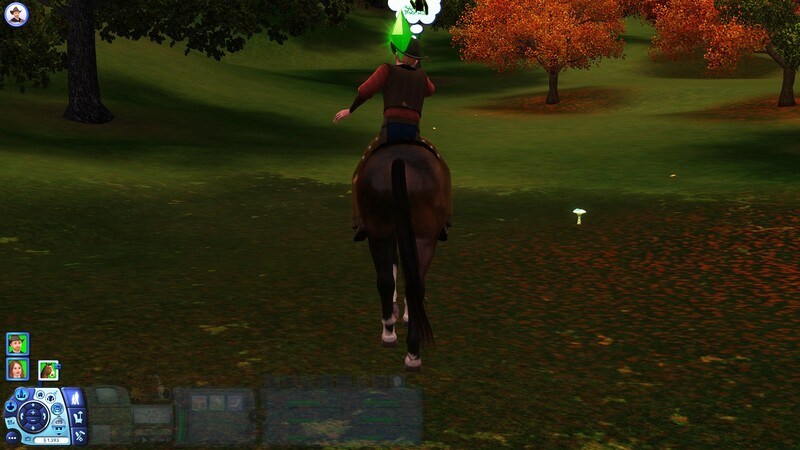 I went for The Sims 3 simply because of it's open world nature, so I think roaming around the world in third person would be more fun in The Sims 3 than in any other The Sims game. I might consider making one of these for The Sims 4, depending on how well this goes and if people really want it. Ladies and Gentleman, the next twallan has entered the Sims 3 community. Ok, I will send a video when I have time. Yes! I have the exact same problem. Oh god this is literally what I've been waiting for! It reminds me so much of The Sims 2 on PSP which is to this date my favourite the sims game! Are you considering making this mod for TS4? I think with the newly added First Person Camera it would be the most downloaded mod in history of The Sims! Thank you so much for creating this, you just made my day!